Just a quick plug for one of the authors here at Today I Found Out, Samantha. 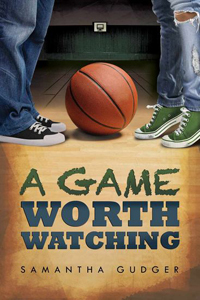 She has published her first book, A Game Worth Watching, which is only $3.99 and is also available via Amazon Kindle’s lending library. My wife has now read the book (the book being geared more towards people of the female persuasion ;-)) and tells me it’s very good. So if you’re interested in a good read that’s not very expensive at all please check it out. Without the promise of a respectable future after graduation, all Emma wants is to cherish her senior year by playing basketball with the guys and spending as much time as possible with her best friend before he heads off to some fancy university, leaving her behind. But when the high school basketball coach recruits her to join the team—the girls’ team—Emma discovers life is anything but a slam dunk. How is she supposed to know how to be one of the girls when all she’s ever been is one of the guys? You can check out the book here and also check out all Samantha’s Today I Found Out articles here.